Fianna Fáil TD Charlie McConalogue has raised concerns about spending cuts proposed by Education Minister Ruairí Quinn ahead of October’s Budget, but Labour says he’s trying to “increase his personal profile”. A FIANNA FÁIL TD has been accused of “recycling” material that is two years old and “blatantly attempting to increase his personal profile” in relation to possible cuts in the education budget. Charlie McConalogue was quoted in the Sunday Business Post and the Sunday Independent yesterday expressing concern about Education Minister Ruairí Quinn’s proposed list of possible cuts to the education sector in the forthcoming Budget. However, the Labour TD Kevin Humphreys claims that the list quoted in the Sunday Business Post is extracted from an appendix in the Department of Education’s Comprehensive Review of Current Expenditure which was first published in September 2011. “By reopening the debate on this document, it is clear that Deputy McConalogue is blatantly attempting to increase his personal profile during August, by recycling this material,” Humphreys said. 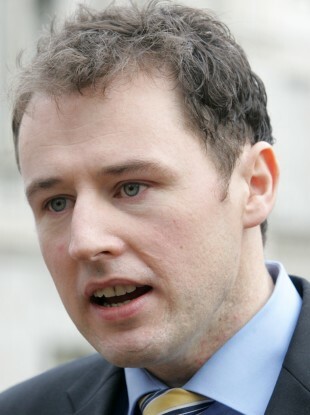 The list of possible spending cuts – seen by TheJournal.ie and taken from the appendix published two years ago – was presented to the Oireachtas Education Committee by the Minister on 17 July which is why McConalogue says he raised the issue now. The Fianna Fáil TD for Donegal North-East said in a statement today: “Minister Quinn himself presented this report to the last meeting of the Oireachtas Education Committee in July as the suite of options for education cuts in the upcoming budget. Humphreys, a TD for Dublin South-East, said that Quinn had already outlined in evidence to the committee last month that €44 million in expenditure cuts would be required in the October Budget. Email “TD accused of 'recycling' two-year-old list of education cuts ”. Feedback on “TD accused of 'recycling' two-year-old list of education cuts ”.